What Are Interesting Facts About Lions? Lions are carnivorous mammals that are predominantly found in Africa. As of 2015, these animals are classified as “Vulnerable” on the Red List of Threatened Species on the International Union for the Conservation of Nature. 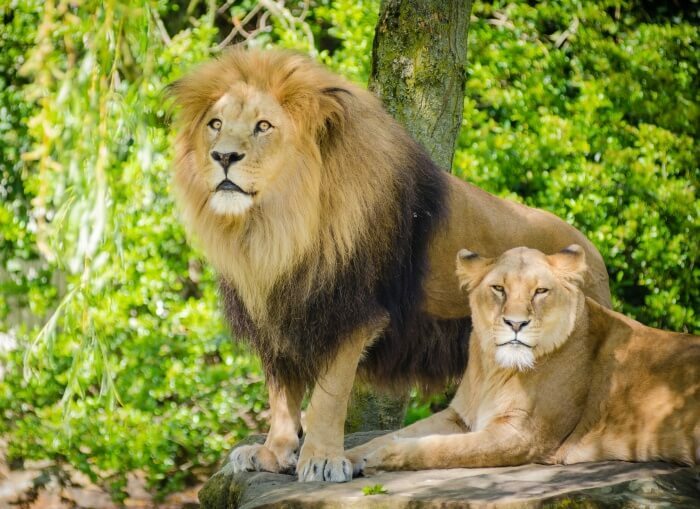 Aside from Africa, lions once roamed other continents but their population drastically declined throughout the years. As of 2015, these animals can only be found in the grasslands, plains and conservation areas of Africa and in one of the national parks in India. The drop in number is primarily attributed to illegal hunting and habitat loss due to human intervention. Considered to be the most social among the big cat species, lions live in groups called prides, which may comprise up to 15 members. The males serve as the protectors of the pride from other predators while the females are tasked to hunt and provide food for the group.